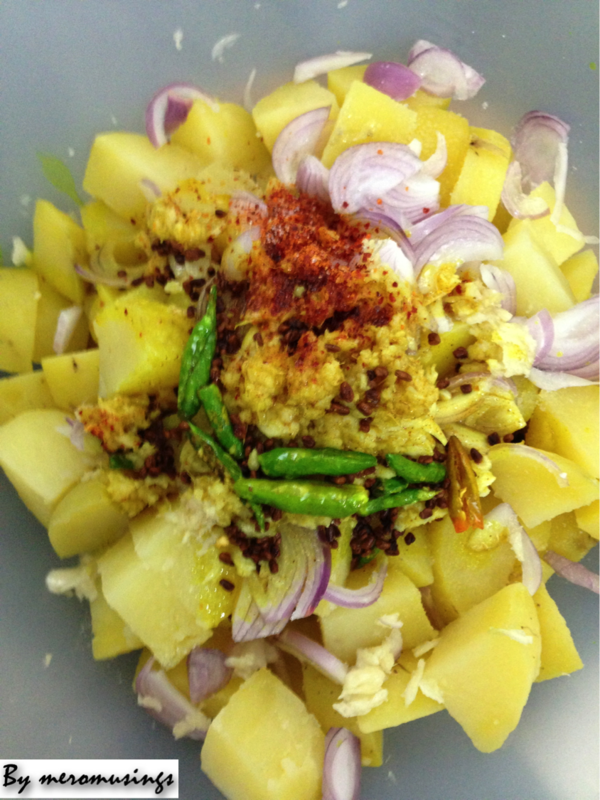 Aloo Sandheko is a very common Newari dish that every Nepali loves. It is prepared in almost every Newari feast. 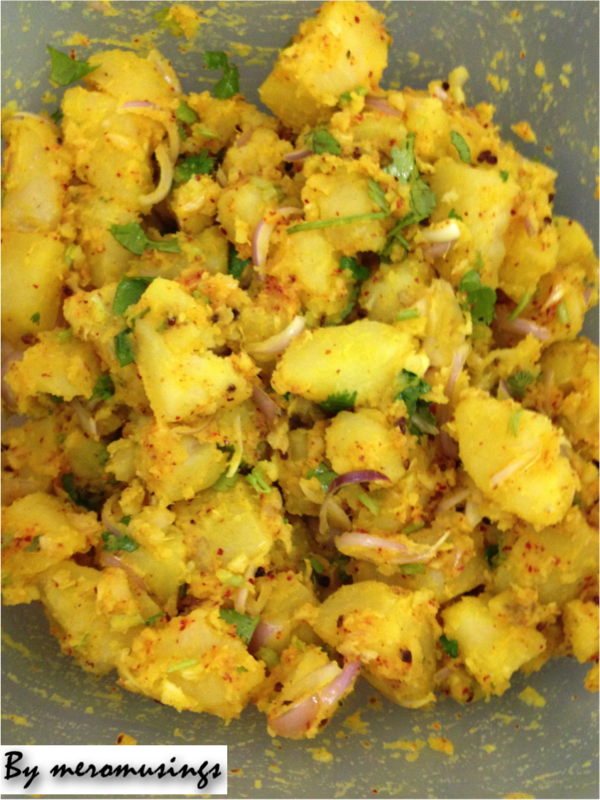 It is a spicy potato salad with mustard oil, fenugreek seed dressing which is served cold. It is one of the most simple and basic Newari food. This month was A’s birthday. We had a simple celebration at home with his favourite food on the menu and the invitees were his close friends here. Since A comes from a Newar family he loves his Aloo sandheko, Choela, aloo tama, aloo achar, aila and so on. I made “Aloo Sandheko” as a starter/snack for his birthday dinner and today I’m sharing with you all my version of the very common Newari dish. Peel the boiled potatoes and cut it in cubes. In a large bowl mix all the basic ingredients and set aside. In a pan, heat oil and add methi seeds. After the seeds start to brown, add the green chillies, turmeric powder and take it off from the heat and pour it in the bowl of potatoes. Mix all the ingredients in the bowl. Let it refrigerate for 30 mins before serving.